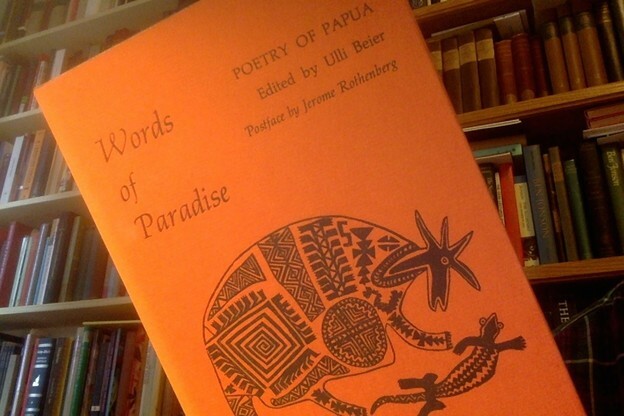 Bibliography: Words of Paradise: Poetry of Papua New Guinea, edited by Ulli Beier (Unicorn Press, Santa Barbara, in affiliation with Sun Books, Australia, 1973). The word "bulubwalata" (line 1) is glossed by Beier as "a magic formula intended to do evil." Comment: This will not be the last magic spell in this series. I'm prejudiced in their favor. To me, spells, incantations are the true odas elementales. Shamanistic poetry has only a handful of modes. Mainly there's lying, there's talking nonsense, and there's voicing unreasonable demands. (Cf. the title of Kenneth Koch's book about teaching kids to write poetry: Wishes, Lies, and Dreams.) Ezra Pound thought a writing system based on pictograms "simply had to stay poetic." He must have never seen a copy of Quotations from Chairman Mao. But naked desire calling upon the powers of the air for backup—? That stays poetic. And things answering that description seem to have a shelf life of infinity. Think Sappho's fragments. Surely USA poetry could use more of this? We've ceded exultation to pop songs. Perhaps we still have title to incantation. See below. may my fetching magic be keen! I am fetching back your mind, woman! And lie on my bed.